Income Tax Calculator by Insurance Funda is a simple and useful online tool to calculate your income tax liability in few simple steps. Take a print of your Income Tax Calculation sheet or get it mailed to your e-mail id in few simple steps. Tax payable with rebates and deductions under various sections can be accurately calculated by people even with little knowledge on income tax rules and acts. Read more: Income Tax return e-filing – Complete step by step guide to make return filing easy. IF you are unable to view Income Tax Calculator here, Click Here To Open IT Calculator. 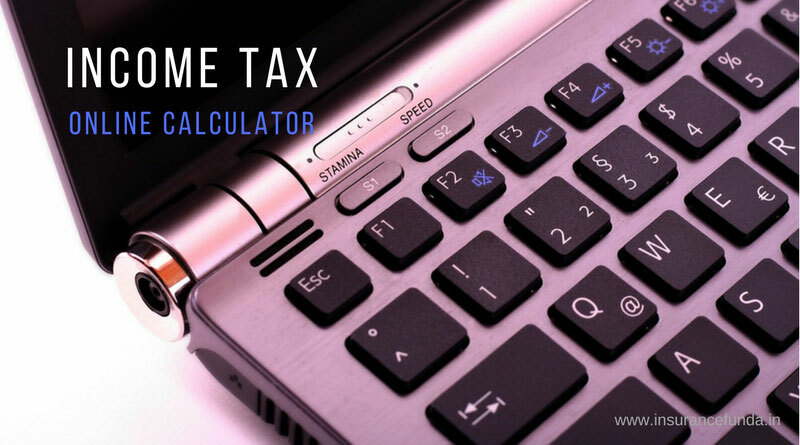 Income Tax Calculator FY 2017-18| AY 2018-19 – How to use it? Gross annual income for the financial year. Print the calculation sheet using the button provided in the bottom. Top 5 best ELSS Tax Saving Mutual Funds to Invest in 2017-2018. Income Tax return e-filing – Complete step by step guide to make return filing easy. Please feel free to share this post using the sharing buttons provided below so that more people can use it. ← Term Insurance Policy- why do you need it.